For Americans in the full grip of Beatlemania, this was the first album they could buy. 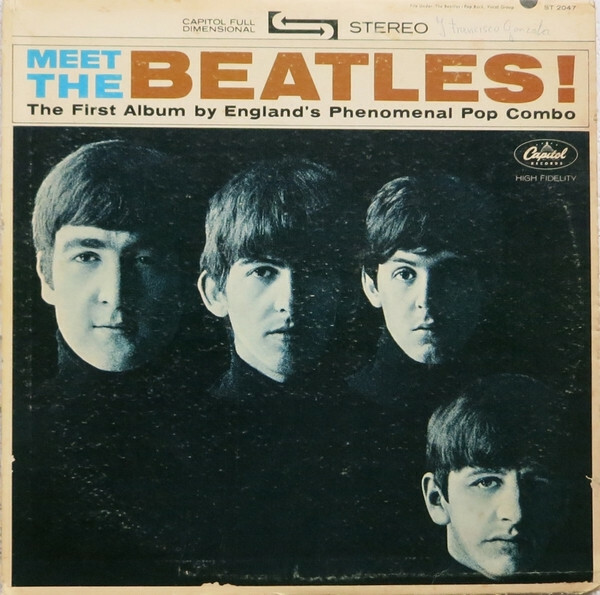 Meet took the Fab Four's second British record, With the Beatles, dropped five covers and added three tracks, including the singles "I Want to Hold Your Hand" and "I Saw Her Standing There." (This may have made a hash of the Beatles' artistic intentions, but it made for a much better record.) John Lennon and Paul McCartney were on a songwriting roll that would be unmatched in rock history, and at this point they were still a real team. They wrote "I Want to Hold Your Hand" together on a piano in the basement of Jane Asher, McCartney's actress girlfriend – as Lennon put it, "eyeball to eyeball."